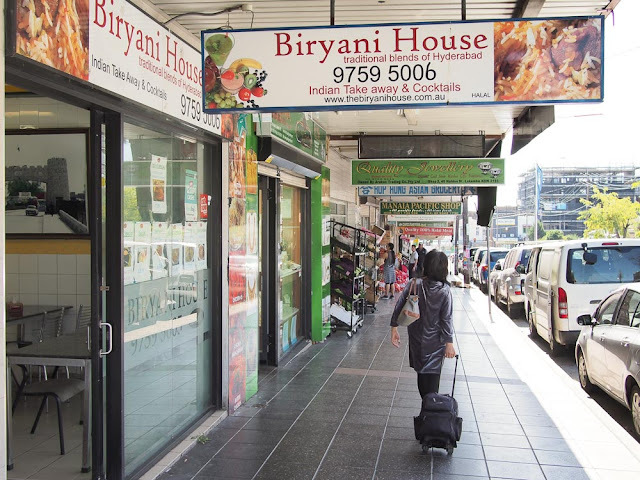 Some time ago we stopped outside Biryani House in Lakemba to check out the menu and a super lovely lady pops her head out the door and welcomes us in. We'd already eaten that day but we promised the super nice lady that we'd come back one day to try her restaurant. 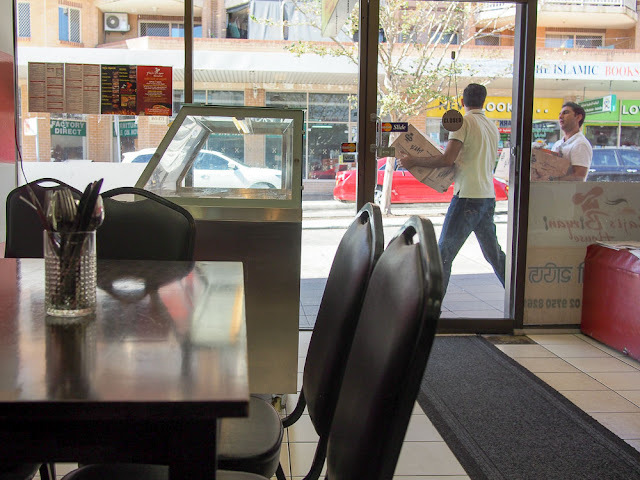 Months later we finally make it back to Biryani House. It is utter hole-in-the-wall joy. The sign out front says Biryani House specialises in food from Hyderabad, in central southern India. The menu also has a bunch of Bangladeshi classics and some standard Indian crowd pleasers. We are welcomed in by the same incredibly super nice lady. Super nice lady kicks arse at the front of house, the kind of lady who makes you feel like you are sharing in her food and culture rather than just buying a plate of rice. Super nice lady is unassisted by super grumpy lady, who we guess to be mother-in-law. It's a sitcom waiting to happen. 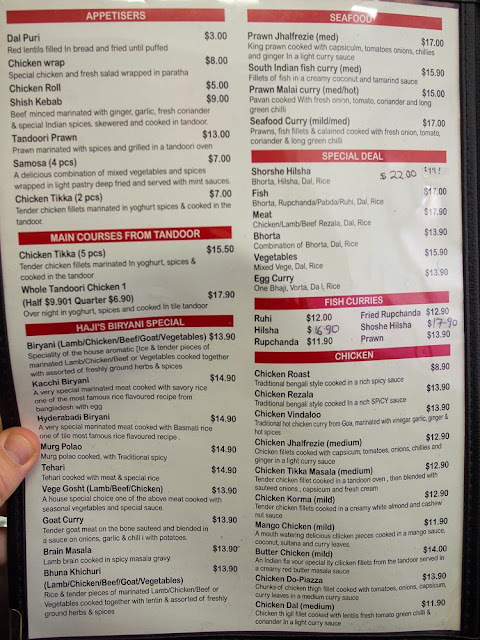 Kaachi biryani - $14.90. 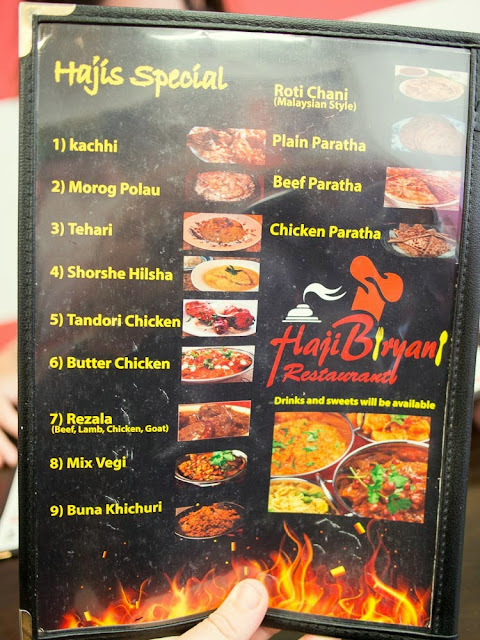 You gotta have a Biryani at Biryani House. There's a few styles, we pick this one at random. Spicy long grained rice with a googie on top for good luck. Man we love us some biryani. 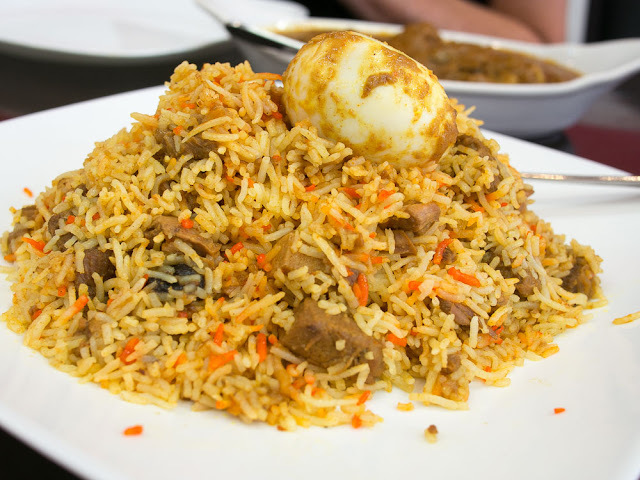 Next time we'll try the Hyderabad biryani because that's were super nice boss lady is from. And we must try the tehari, a Bangladeshi classic where the rice and meat are cooked together. 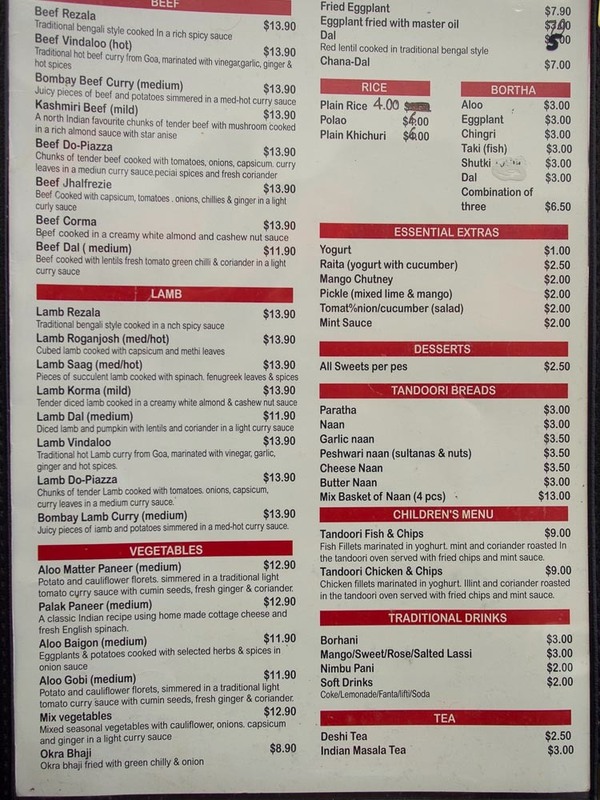 Lamb rezala - $13.90. We pick something wet'n'saucy to go with the rice. 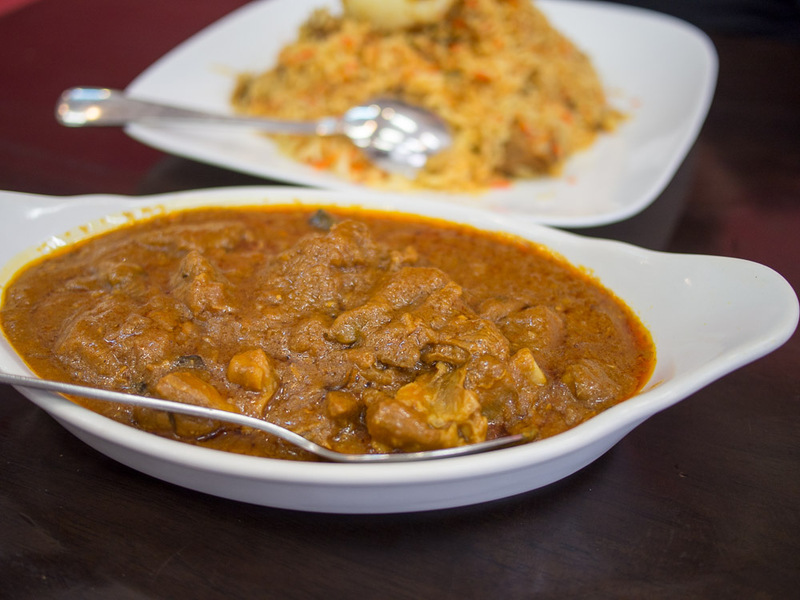 This is a rich and mildly spiced curry. 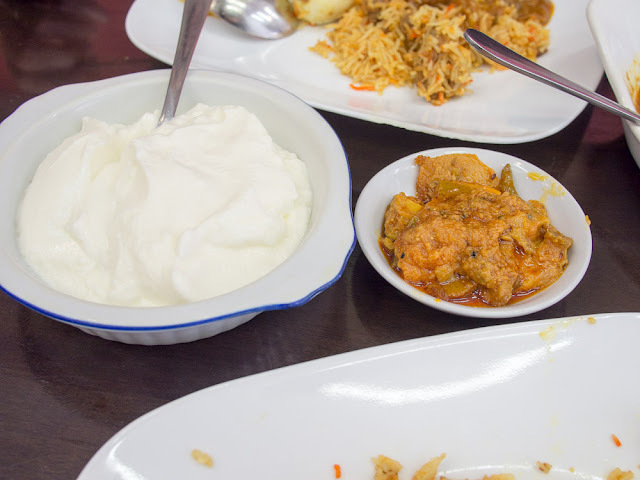 Sides of yoghurt ($1) and mango chutney ($2). For drinky poos we try borhani - $3. 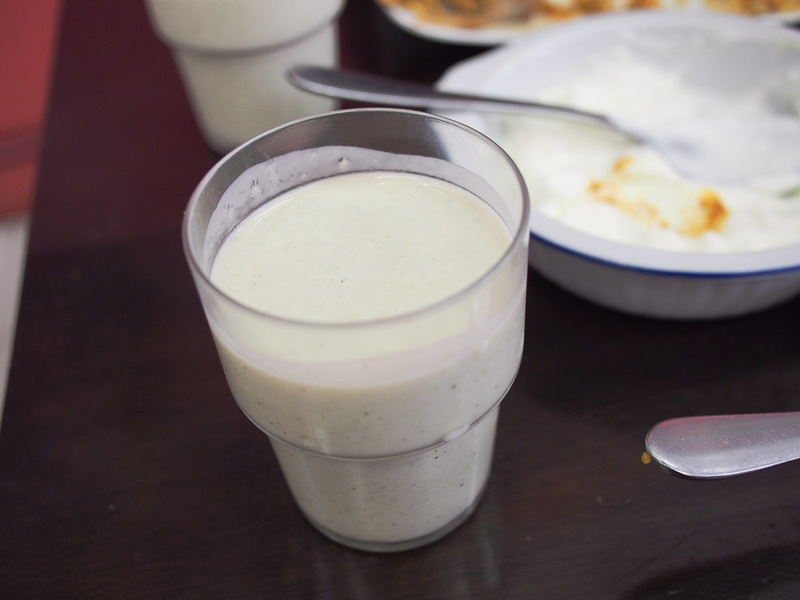 A spiced yoghurt drink that Alison liked but Shawn found a bit eggy and funky. 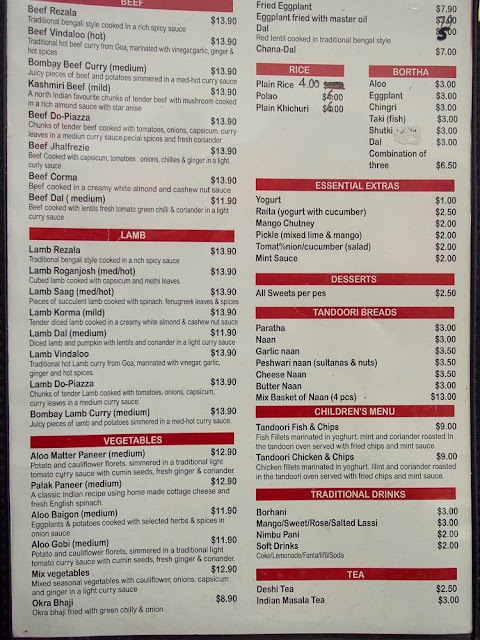 Biryani House menu - click to enlarge. 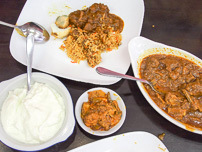 You got to try Student Biryani in Auburn a franchise from Pakistan. You can even purchase Biryani by the bucket, similar to KFC but rice instead of chicken. We've had this recommended before, it's high on our hit list. Bucket'o'Biryani sounds tops. If you liked the biryanis here, you could also try dosa hub in five dock. Although they do dosas (and good ones at that), they also do hyderabadi biryanis, including the dough tops. As their website shows - they take them both very seriously! The biryani places are coming out of the woodwork! Fantastic news on more places to explore. You're back! I've been checking your blog so often in the hope of an update! We've been busy this first quarter of the year, here's to a few more new posts soon!